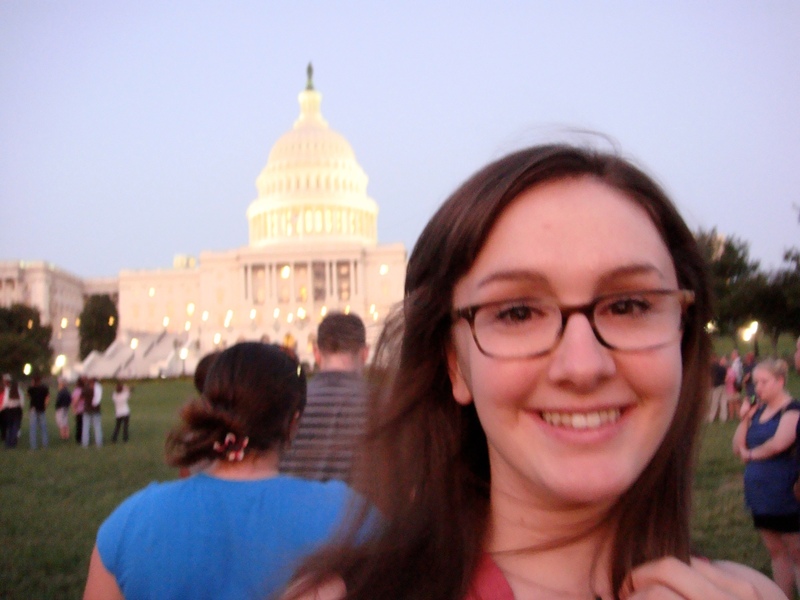 I spent Labor Day weekend in Washington DC! I went with Philip and his family, who were scheduled to perform in a choral concert at the National Cathedral, but it was canceled due to damage to the cathedral from the earthquake. We had our plane tickets and we weren’t going to put them to waste! 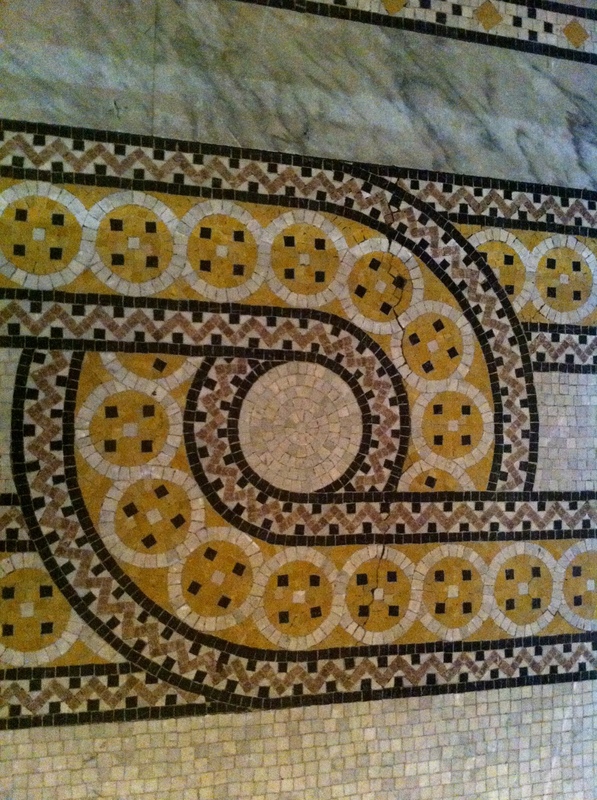 I had not been to DC before, so I gawked and pointed shamelessly at all the neat stuff. We were there for six days and exhausted ourselves filling everyday with sights and tours and walking! So much walking! 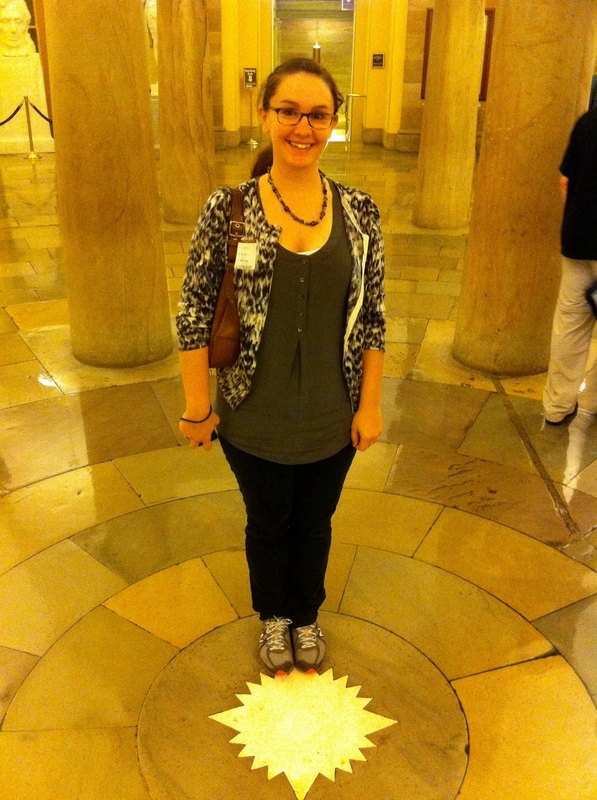 Me, in front of the Capitol. 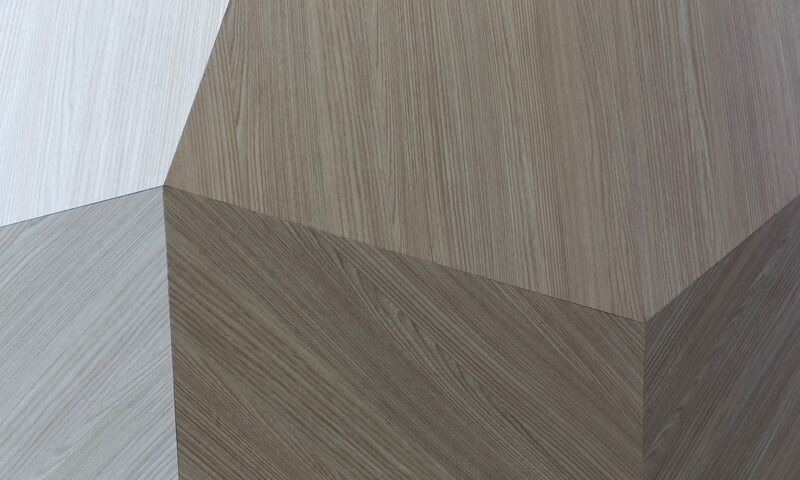 Being an interior designer, I spent much of my time inspecting and taking pictures of floors and ceilings. DC did not disappoint! 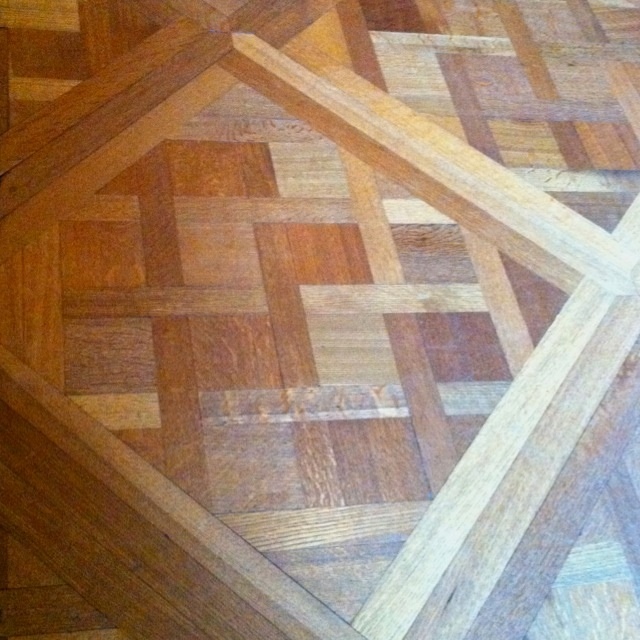 Wood parquet flooring at the National Gallery of Art. 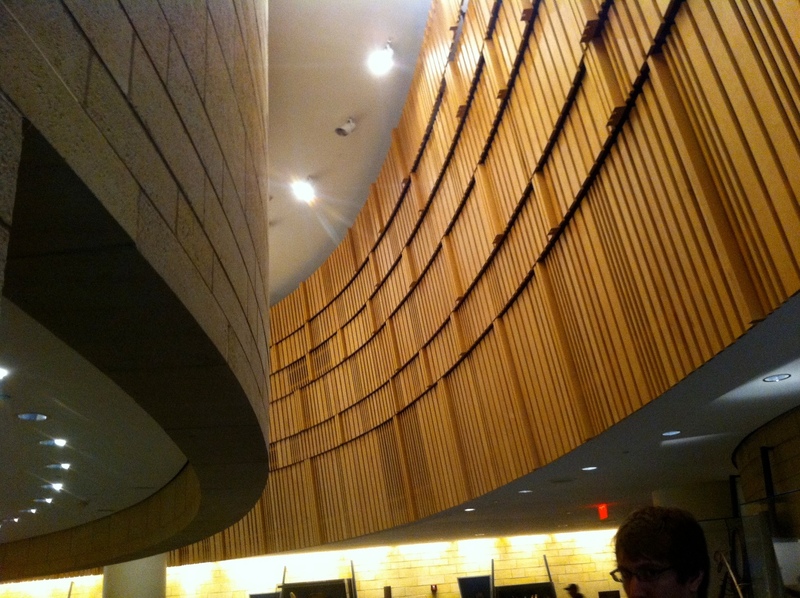 Wall/ceiling/soffit at the National Museum of the American Indians. 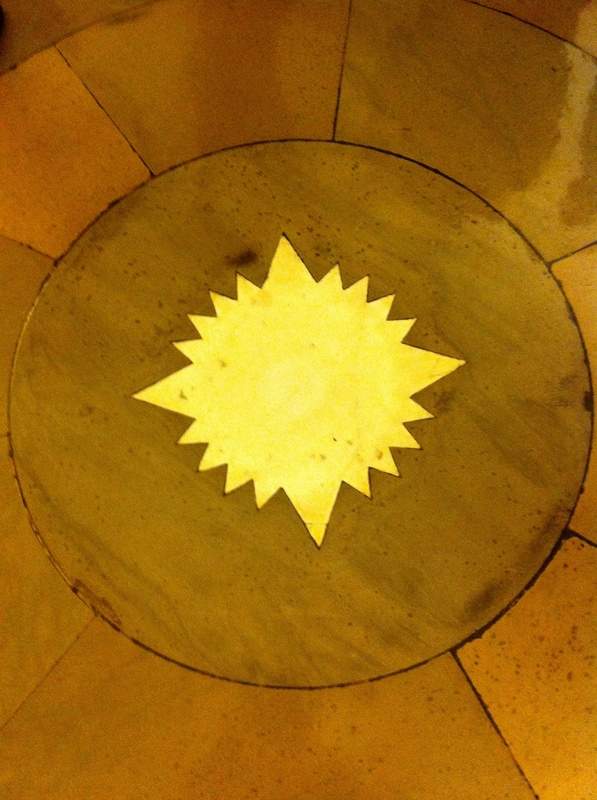 I’m standing in the basement, also known as The Crypt, of the Capitol, on the center that divides Washington into four quadrants. I have no idea what kind of stone this is, but I was beautiful in person. 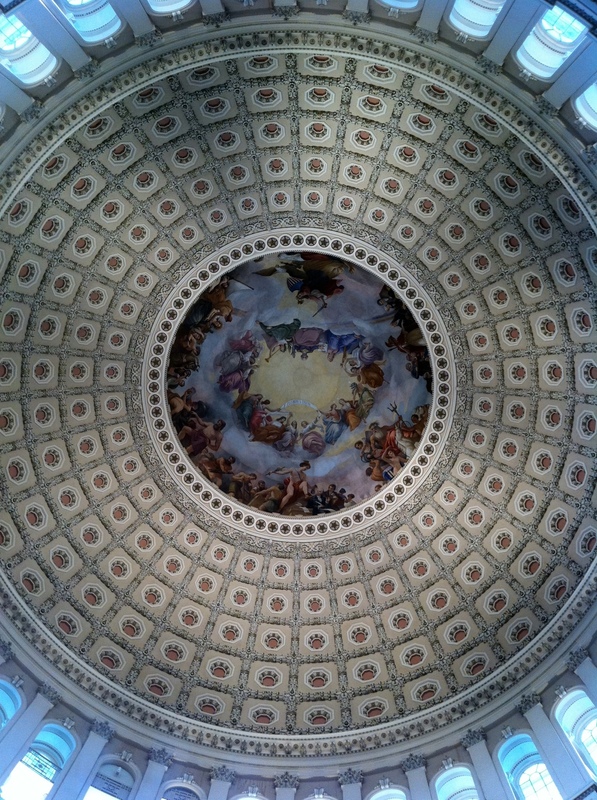 The Capitol rotunda ceiling featuring, “The Apotheosis of Washington.” My ignorance of art history really showed on this trip. This depicts Washington ascending and becoming a god. 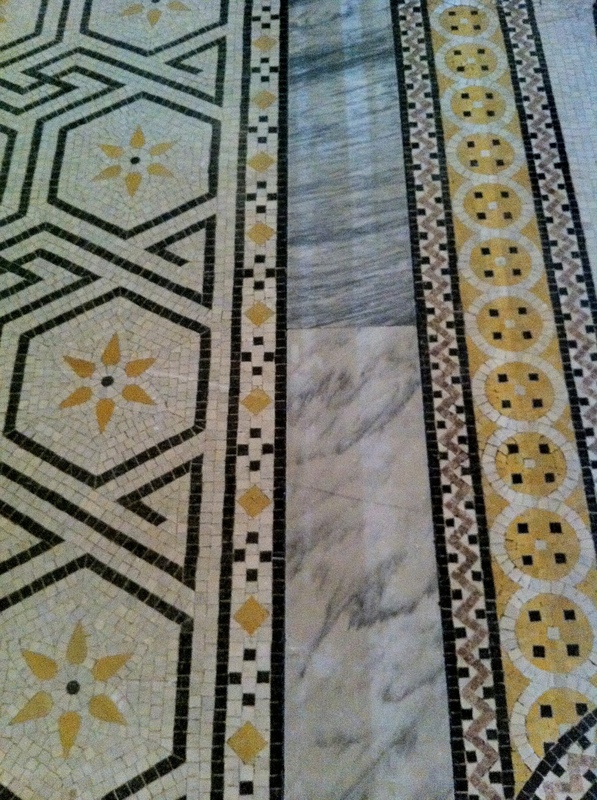 Mosaic floors at the Library of Congress. There was a very prominent European influence on many of these buildings. Our tour guides said it was because we wanted to show Europe that we were just as good as they were. 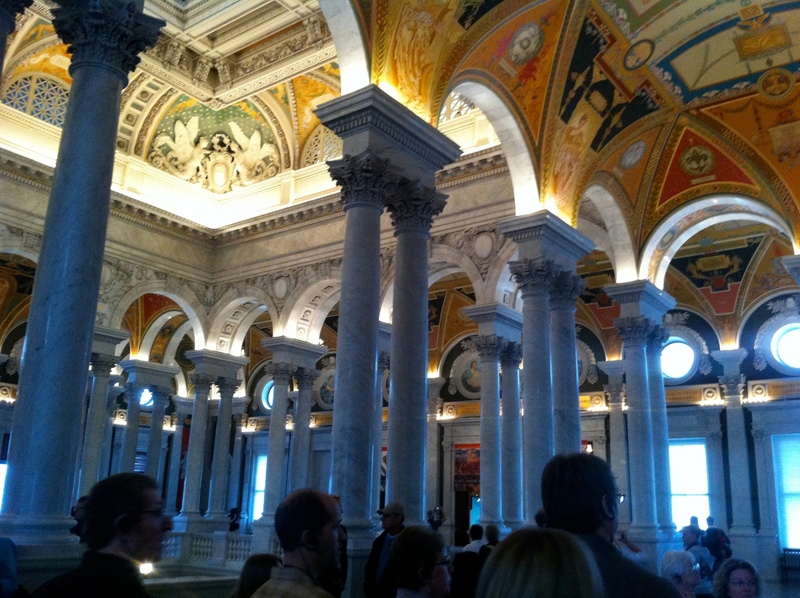 Amazing ceiling at the Library of Congress–again, all mosaic!